Defining Home Care, Hospice, and Personal Services. Identifying Payment Options for Home Care, Hospice, and Personal Services. County by county listing of all IAHHC members in Indiana. What services IAHHC Home Care, Hospice, or Personal Service Agencies provide. Helpful hints on what to ask and look for when choosing an agency. IAHHC's Code of Ethics that all of our members adhere to and more! Click here to view a copy of the 2017 Home Care & Hospice Guide. 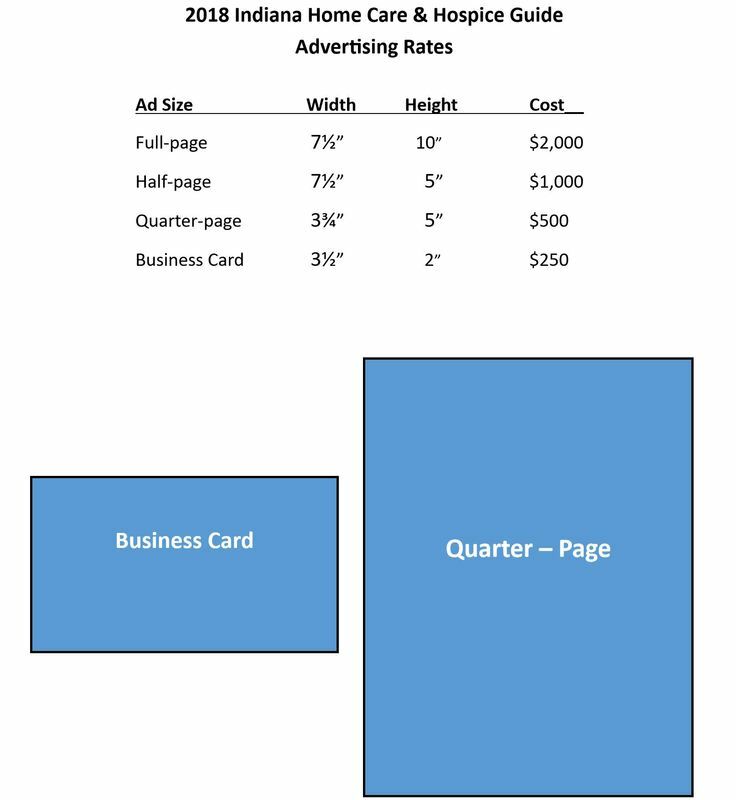 Below are our advertising rates. To download the Advertising Rate form, please click here. For additional information and customized advertising for our 2018 Guide, please contact Katie Ociepka at katie2@iahhc.org.